First published 25 March, 2013, updated 14 November 2013. I am definitely a “work in progress”. I feel like I am constantly learning. In fact, in the last four years, since I’ve been consciously committed to personal growth, I feel like I have been learning more than at any other point in my life. Every day I feel like I am going through a steep learning curve; trying, failing, occasionally succeeding, feeling and then later understanding. With this constant perspective of curiosity and seeking to learn I feel more and more like a child, and I love it! One of the areas of my life that I continually grapple with is knowing where to invest my effort for maximum reward. And it’s still something that I haven’t quite figured out yet. 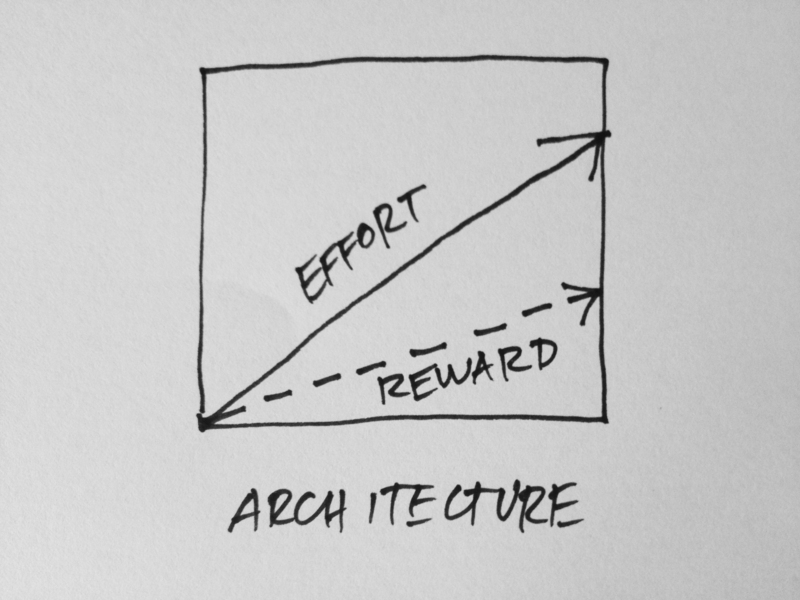 Architecture requires a lot of effort, for a reasonable amount of reward. 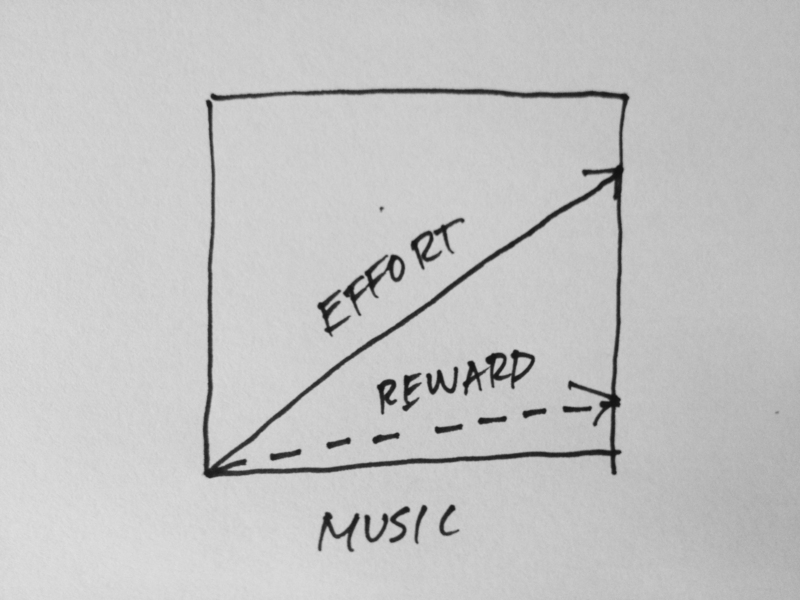 Music requires a lot of effort for a pretty small reward. There is a saying “you only get out of life what you put in”. At this point in my life I didn’t really agree with this statement. This was at a time when the efforts I put into architecture and music weren’t aligned with my real purpose and I was seeking a financial or ego reward (praise and validation) that was equivalent to the effort I was putting in. And so I was generally disappointed. I felt, at that point in my life that in architecture, music and relationships I had always given more than I had received. In early 2011 I eventually had an epiphany around the effort vs reward ratio. Around the time of the late 2010 / early 2011 floods I was working part-time at The Edge as a “Catalyst in Environmental Sustainability“. This was a rather open and ambiguous role and it gave me the freedom to experiment and play with ideas related to the environment and nature. One of the fun things I got to do was run a series of “seed bomb” workshops (if you don’t know what seed bombs are, check out the link!). 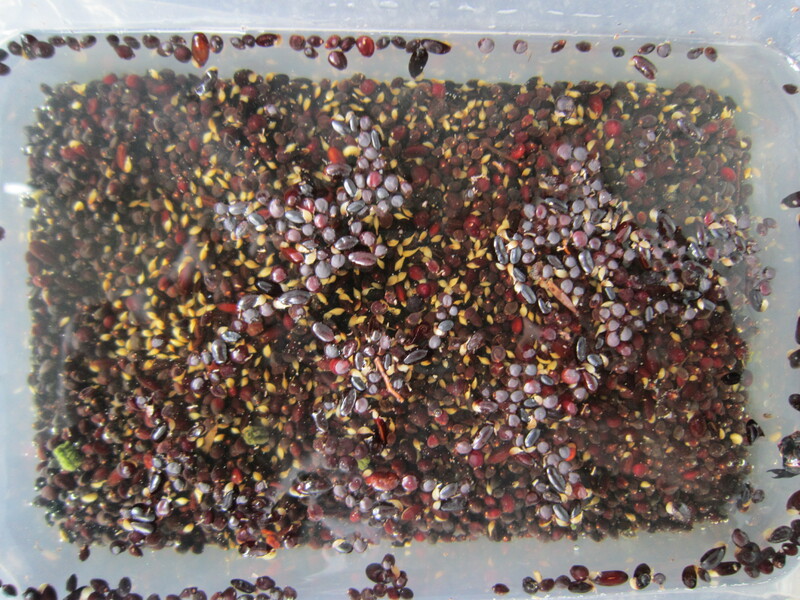 During this process I gathered a bunch of native seeds from Greening Australia and I had to soak them as part of the germination process. 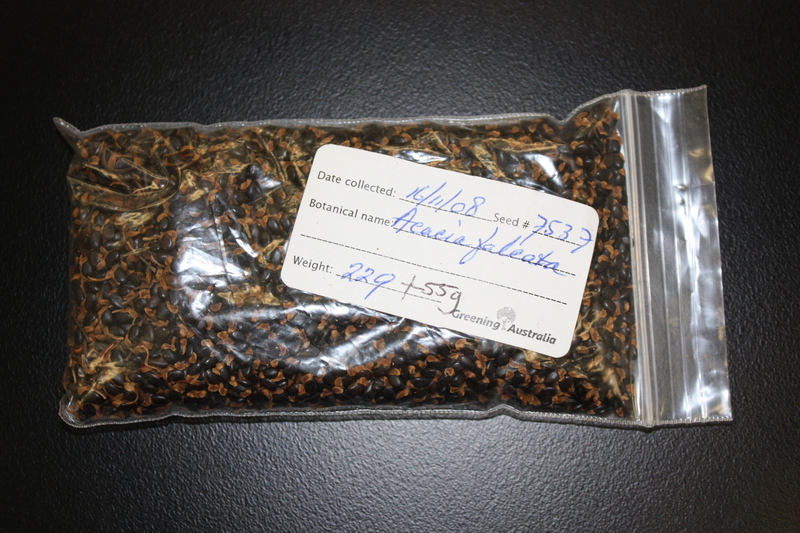 The floods came in early 2011 and my seed bombing workshops were postponed leaving me with a bunch of seeds, soaked and ready to be planted. Rather then letting them die, I decided to plant them out and see how many of them I could raise into seedlings. In the process I discovered something powerful about how nature and the universe work. I planted about 100 seeds. From those 100 seeds about 40 germinated. 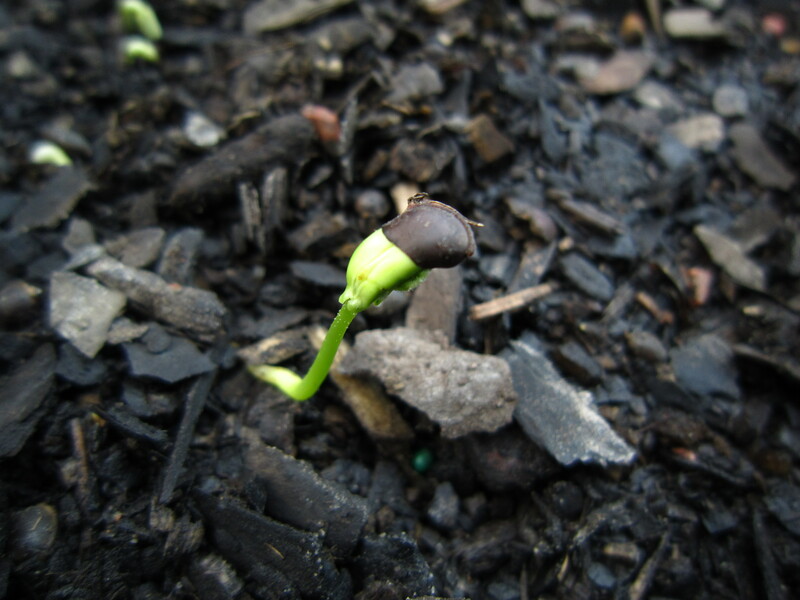 I was so excited when the first shoots of life emerged from the soil! I sensed the potential of this new growth and I waited for the other 60 to sprout as well..but they didn’t. Strange. Then, weeks later, from those 40 about 20 began to develop into small seedlings. The other 20 withered away and died. Again, I thought that was kind of strange and I wondered what I might have been doing wrong. 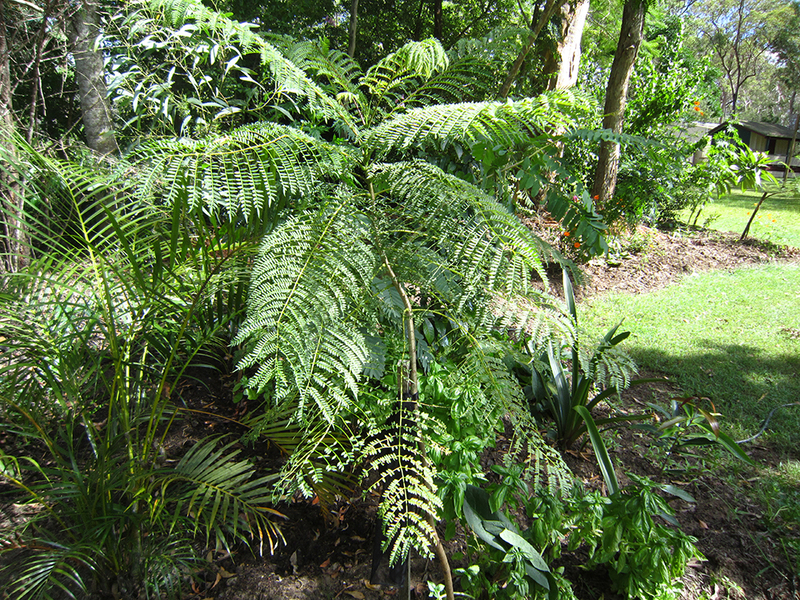 Eventually, months later from those 20, only 5 survived to become living and flourishing plants. And these last 5 really grew and prospered, so much so that they outgrew their small pots and I had to take them to my parents’ place to be transplanted into a garden bed! Now, a couple of years later those five plants are growing well in my Mum’s garden but they still need regular care and support to continue to grow to their full potential. So, why did only 5 of the 100 seeds that I initially planted survive? What went wrong? Each of those seeds was planted under the same conditions, given roughly the same amount of water, fertilizer and sunlight. What did I do wrong? Why did some survive and some die? I don’t know. And it doesn’t really matter. When I thought about these plants later I realised that although it seemed a little strange that so few of them survived I also didn’t spend hours beating myself up or trying to revive the dead plants. I accepted that this was probably just the way things worked. That this was a part of nature and therefore not necessarily discouraging. Around the same time, while reading The Four Hour Work Week, my good friend Tim Ferriss introduced me to a thing called the 80/20 Principle. The 80/20 principle, also known as “Pareto’s Law” was introduced by a 19th century Italian economist by the name of Vilfredo Pareto. Pareto first demonstrated the 80/20 principle in relation to wealth in society; in that 80 percent of wealth and income is produced by 20 percent of the population. What’s made his discovery all the more fascinating was that he demonstrated how this principle could be found almost everywhere, not just in economics. For example Pareto’s garden peas were produced by 20 percent of the pea pods he had planted. Pareto’s Law would suggest that only 20 percent of reward comes from 100 percent of the effort. So I thought to myself, “Why should seeking my ideal life, romance, quality friendships or career success be any different? Sheesh! Those are far steeper odds than 80/20. In fact that equates to 2,822,196 ounces of dirt to secure 1 ounce of gold! That when seeking the highest quality outcome in something, the measurable outcome can often represent a minute percentage of the overall effort. So, don’t be disheartened if on a practical level you feel at times you are giving more than you receive. This is necessary if you are to pursue high quality outcomes, if you are “digging for gold”. If your efforts are aligned with your purpose, surrender to the 80% (or more) that “fails”, trust the process, plant the seed and let go of the outcome. Importantly though, cherish the outcome in this context: while effort and reward may not be “equal”, the outcome is still well and truly worth the effort. I’m learning to direct my efforts toward the areas in my life that reap the maximum reward, particularly with my relationships. But also, I’m learning that when I look at situations with an expectation of tangible and immediate rewards, I will potentially be disappointed. What are your expectations around effort and reward? Are your efforts aligned with your true purpose or are you seeking external validation? What are some burning desires, goals and dreams and how can you plant hundreds of little seeds in your life right now to start making them a reality? But…how willing are you to also plant the seed and let go of the outcome knowing that some things are just not meant to be? You reap what you sow but sometimes not in the ways you want but always in the ways that you need. If you found this post valuable, please consider choosing to support Be Awesome with a donation. Collectively, over 8 hours a week go into producing the content for this site and your donation can help this message empower a wider audience as well as contribute to future initiatives. Thank you for Be(ing) Awesome! Hi Christian. I really enjoyed this topic as it is something present for me everyday. For me it is about redefining success and opening my eyes to rewards that might be present outside of what I perceived would be the reward. Quite often I think that the effort I have put in is in vain but when I take a step back and open my eyes wider I can see that there always is a reward it just might be packaged up a little differently to what I expected. What I am learning is that if I put in effort or find courage or embrace vulnerability there is always a reward! Thanks for sharing and inspiring me to continue to Be Awesome! This is a great one this week (but really aren’t they all?). So relevant to me particularly lately. I’ve been assessing my relationship with these ideas (especially with music) – for a long time if something didn’t come easy or the first time I felt it wasn’t meant to be, and working on something other than the first go seemed to go against the nature of it, or was cheating, or wasn’t pure. Or something. As I write this I think it’s more to do with opting out of vulnerability and the possibility of -gasp!- a mistake. The path of least resistance is so inviting at the start and so unsatisying by the end, and I gain so much more by going for it and as the other wise women above have said, usually it’s the ‘failures’ that are the most enlightening. I’m starting to feel the differences now when I’m in a low risk/effort/reward space and embrace the fear of not being perfect to strive for the higher risk/effort/reward. I have many a time asked myself “am I trying to be perfect? or awesome?!’. It definitely helps. For me it’s not just the planting but the nurturing and the growing aspects that I’m excited to … well, nurture and grow within my life. You can’t just love the gold, you’ve got to love the dig.